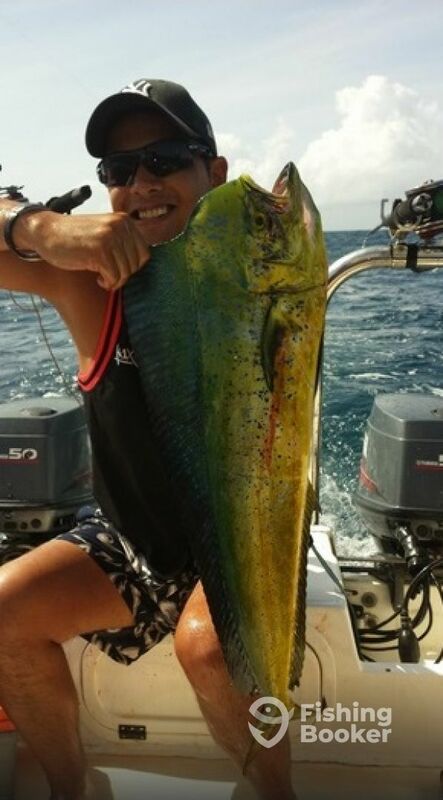 "Was born into a fishing family, all I know is fishing around Praslin, my passion is fishing!" Captain Gregory is a third generation fisherman. Fishing is in his blood, and he has fished these waters his whole life. He loves it when a client catches their dream fish, and loves being part of their special day. He will always make sure you have a great day that you will always remember. Love to fish all techniques, big game trolling, speed and slow pitch jigging, popping for Tuna and GT’s and fly fishing in the deep. We chose a windy day and could not get out to the deep blue. However Greg and Phillip keep us busy with some jigging and popping around rocks and islands as we had requested. We caught some fish but more importantly we had fun. I addition we did a tour of some of the most remote and beautiful beaches on earth and were treated to a picnic on one of the finest. If you are very serious about fishing then best to enquire about prime months, conditions etc. In spite of a difficult weather for fishing we spent a very good time with the AGT team, and we arrived To catch tunas.Thank you very much for kindness and see you soon ! No problem Marc anytime, see you again sometime! We booked a boat with Capt. 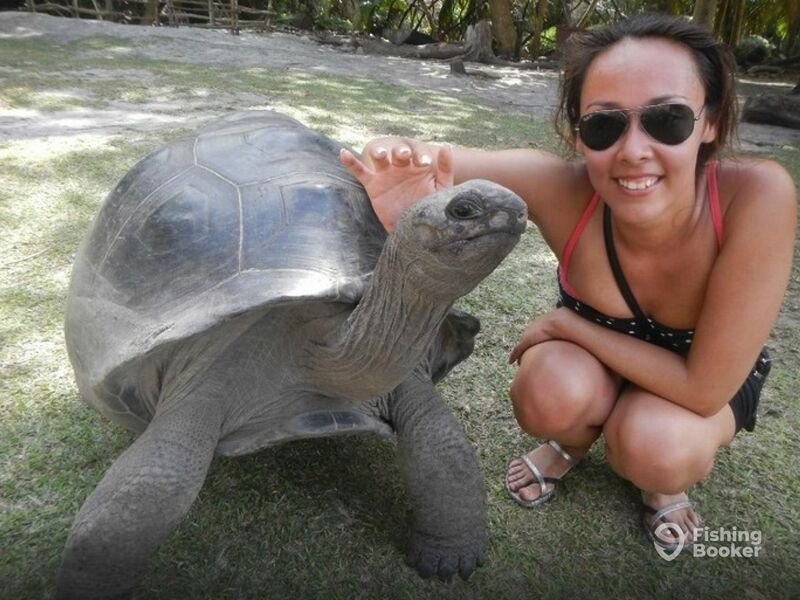 Greg and his friend and had amazing journey! 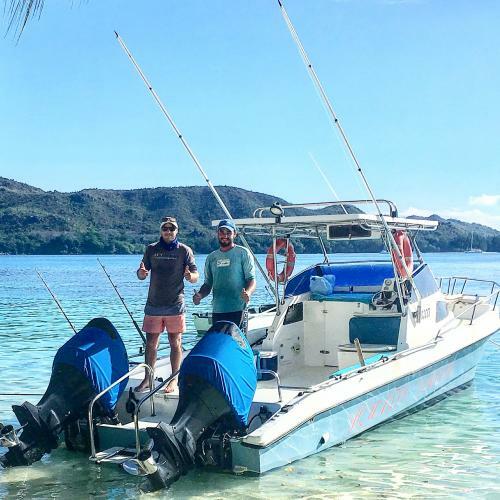 They are super experienced fishermen and they made our day, putting us on fish that day, preparing a “home made” BBQ and we also did some snorkling. This experience is unforettable and I’m thankful to the Captain. A moment with the Black Marlin is amazing and memorable. I highly recommend Capt. Greg, and not just for the professionalism, but also for a fair price. Thank you once more!